10 tips to improve the click-through rate of emails | Sparklane . If you sell, let’s say encyclopaedia, and you go from door to door all day long to sell your superb encyclopaedia (and let’s face it, selling encyclopaedia in 2016 when Wikipedia has existed for over 10 years, that’s quite a calling), we could say that getting through the door is…a little…like a click-through! You don’t get it? Ok, I’ll try again. You’ve put on your finest suit (this is a bit like your subject line, it has to appeal) and you ring the doorbell (deliverability? ), and then, bingo, the door opens (yes, it’s an opening) and you can then start your pitch (combining writing and user-friendliness, the right words, at the right time). If you are asked to come in, it’s already a victory. In email, the click-through is already a victory. If the internet user clicks-through, it means you’ve partly entered their world. So we’re going to look at the elements of discourse and appearance that you should work on in order to improve your click-through rate. But what is the click-through rate? How is it measured? Before I give you my advice, we’ll take a minute to look at how click-through performance is measured. After all, it would be a shame to implement the best practices and not know where to look when we’ve improved the situation. The most “classic” click-through rate is the number of clickers on the number of emails sent. Clearly, this is the rate that you’ll find on the overwhelming majority of email-sending platforms. It’s the ultimate indicator of an email’s pure performance (further on we’ll look at conversion rates), that which simultaneously combines your deliverability, opening performances and click-through performances. A little less frequently, we have the absolute number of click-throughs on the number of emails sent. Here we have all the click-throughs; even if someone has clicked-through 30 times on the email, we keep the 30 clicks? Why? So that we can compare with other emails and answer the question: “What makes my clients/leads come back to the same email several times?” And quite frankly, it’s very useful as, without it, we could easily miss emails that have a stronger-than-average impact for your target. Finally (even though we could probably still invent some others), there is the adjusted click-through rate, that we can also call the number of clickers/number of openers ratio (which explains everything about how it is calculated). 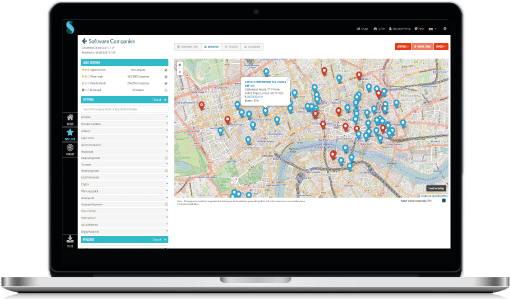 This is the rate that lets us calculate the performances of the design project without interference from deliverability or the performances of the subject line. If you want to test two different buttons or change the order of the information in your emails, this is inevitably the figure you’ll have to look at in order to evaluate the performances of these changes. So what are the crucial points to keep in mind? 1. 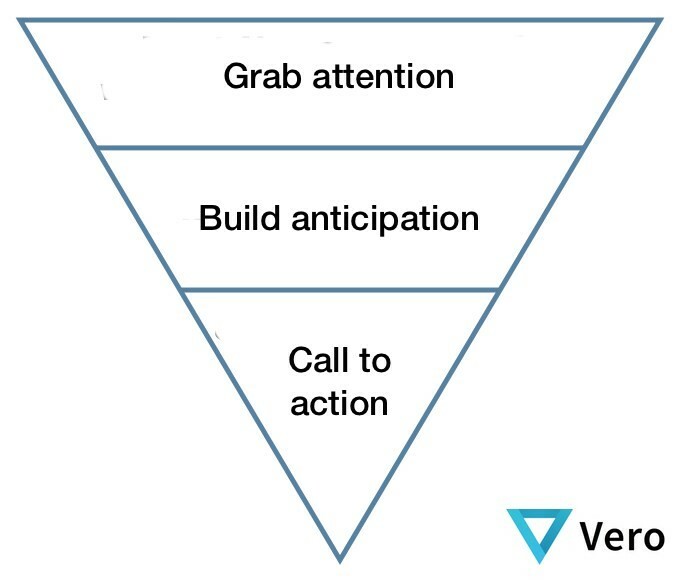 Grab attention and build anticipation! OK, so you’ve probably heard this advice a thousand times before… or maybe not! For pity’s sake, stop being descriptive in your subject lines and headings… try to instil some sentiments, such as mystery, urgency, expectation, curiosity, etc. Your link (the one which is clicked) is the result of a value chain that should not be broken by disruptive elements. Between your subject line, your main heading and your call to action, there has to be a logical next step! We’ve just said that there has to be a logical next step between the subject line, main heading and call to action. But for your reader to understand this logical next step, you have barely two or three seconds. This is why it is necessary for your call to action to be visible at first glance, without having to scroll down in the email. Ideally then, you should place the first button above the fold, i.e., on average, at less than 300 pixels from the top of the email. 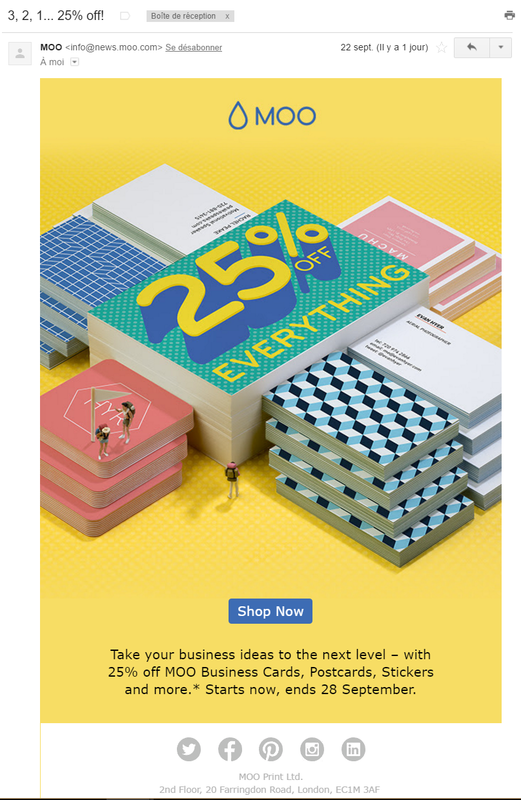 Even if you have placed your call to action in the first 300 pixels of the email, this doesn’t prevent you from placing another one lower down. Quite the contrary. If one of your recipients decides to conscientiously read the contents of your email, it will be preferable to place one or two links directly in the text and put another button right at the bottom. Your buttons have to really jump out at your readers! We all agree that a light grey button on a white background will not stand out much and will not be identifiable at first glance. However, we see unfortunate examples of this on a daily basis. If it’s possible, the background colour of your calls to action should only be used for these. Please no “Click here” for your calls to action. In addition to not really being action-oriented, these buttons bring no other additional meaning. As we said above, the elements of the subject line-main heading-call to action triptych should all be linked. The call to action should contain the next part of the information already exposed to the reader. So we prefer calls to action like “Compare our offers”, “Explore our solutions”, “Make the most of our mega deal”, etc. Above all, pay attention to the verb that you’re going to use and don’t hesitate to create disruption and/or surprise. Yes, we’ve repeated it five times — you have very little time to convince your reader to click-through. All the information necessary for them to understand the goal of your message and to make a decision (i.e. to click-through or not) must be present and analysable at first glance. If this is not the case, then you are missing all of your goals. But being brief about the main information doesn’t mean that the reader will not be able to access additional information to find out more about the subject under discussion — this is precisely where you should trigger the click. We’re back with our triptych. Don’t risk disappointing your reader with a subject line that is a little too advantageous compared with what you really have to offer them in the content of your email. We all remember having read subject lines of this type: “Congratulations, you have won a €500 gift voucher” and have then gone into the body of the email to find a competition that we still need to enter. This is obviously a broad example but, on softer subjects, we realise that many marketers “oversell” in their subject lines, which generates a feeling of disappointment on reading the contents of the email. Yes, yes, there are still a significant proportion of email clients that do not display the images by default when opening an email. This curse is gradually diminishing, but is still very present. And as we have little time to convince, it remains preferable for all information, including the main call to action, to be readable without needing to display the images. If you need to communicate in the 1st person (which I strongly recommend you do from time to time in B2B), it is highly recommended to add a post scriptum to your email and integrate a link in it. This is a technique that comes to us from paper-based letters where it was proven that the PS was more often read than the main text. Well then, in many A/B tests, the same applies for an email, so it would be a shame not to make the most of it. 10. Think about mobile use! It’s not rare to see minuscule buttons, or the word “here” as the only clickable element in an email. But on mobile, the click is very imprecise, so you absolutely have to provide links of a sufficient size and with a cleared zone around them. This will greatly assist “clickability” and, in any case, improve the identification of the email’s click zones. Jonathan Loriaux is a blogger, speaker and expert in digital marketing. 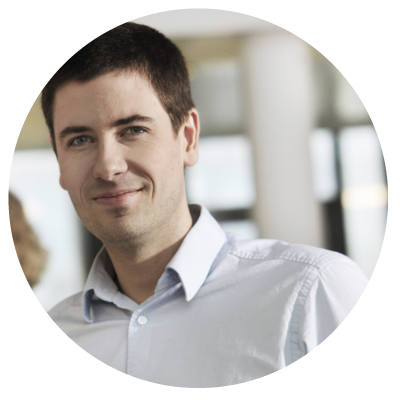 He is the founder and CEO of the email marketing agency Bad Sender.